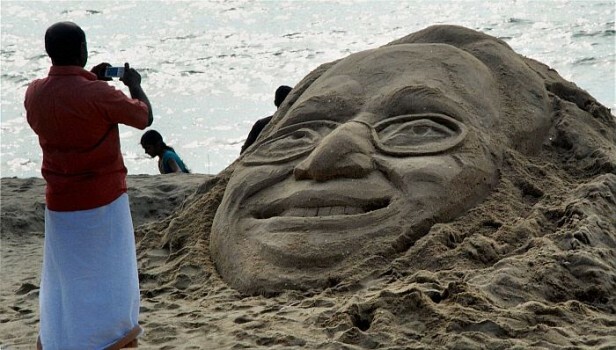 A man clicks picture of a sand sculpture of senior Congress leader K Karunakaran who died on Thursday, at Kozhikode beach. 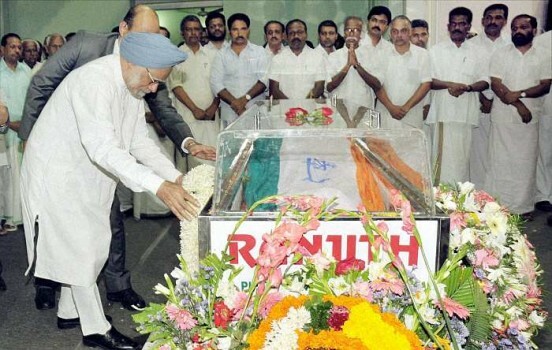 Prime Minister Manmohan Singh pays homage to the mortal remains of former Kerala Chief Minister K Karunakaran, who died on Thursday, in Thrissur. Congress President Sonia Gandhi pay homage to former Kerala Chief Minister K Karunakaran, who died on Dec 23, 2010, in Thiruvananthapuram. 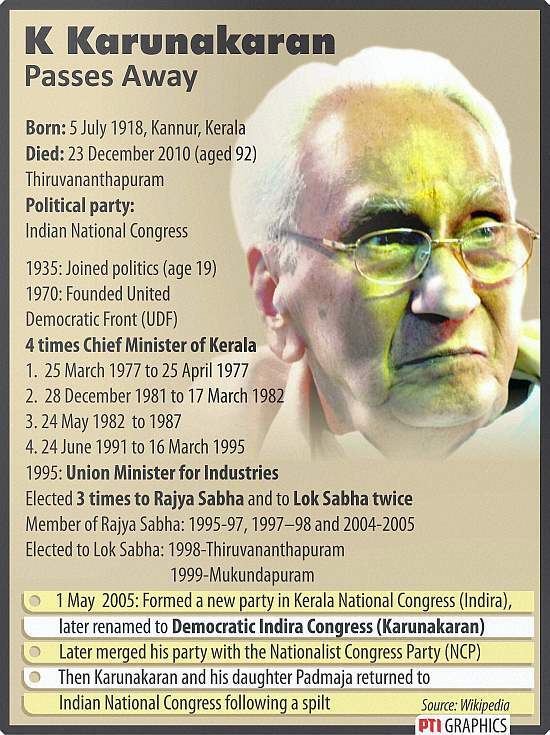 Veteran Congress leader and former Kerala Chief Minister K Karunakaran passed away at a Thiruvananthapuram hospital after an illness. 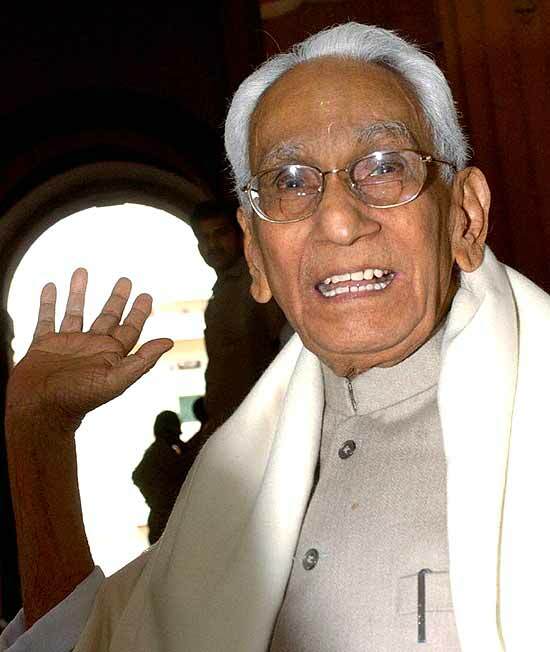 File photo: Veteran Congress leader and former Kerala Chief Minister K Karunakaran passed away at a Thiruvananthapuram hospital after an illness. 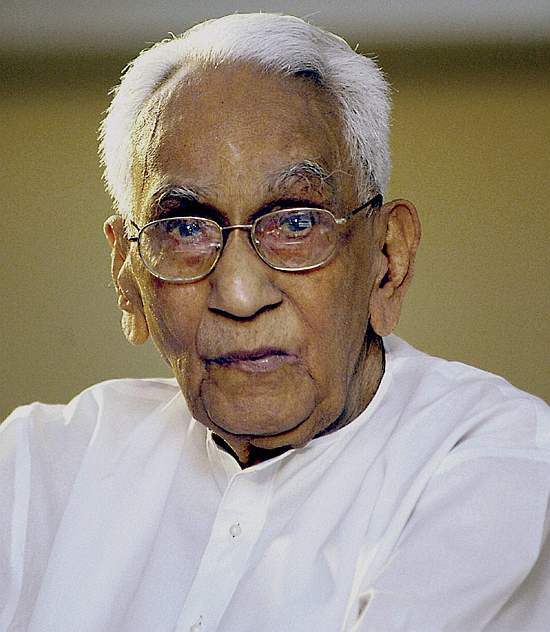 Tamil Nadu has an obsession for statues long before the tallest came up in Gujarat. Who will inherit Finance Minister Manmohan Singh's mantle? "Off To Look For Guns And Molls"
"We Must Keep The Bjp Out Of Power"